Human flesh is what he needs. Beauty is what she sees. 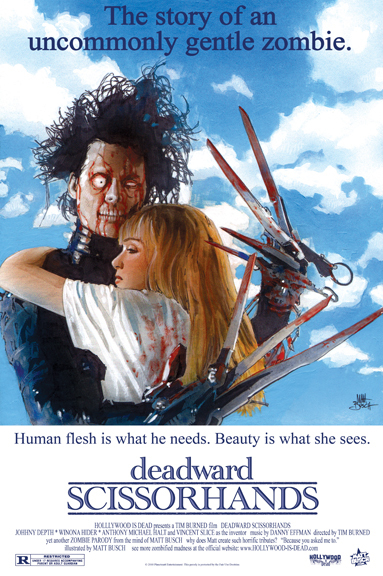 Deadward Scissorhands is the touching whimsical story about an uncommonly gentle zombie, directed by Tim Burned and starring Johnny Depth and Vincent Slice as the inventor. Hang this piece on your wall and you can practically hear the musical score by Danny Eff Man swelling in the air. 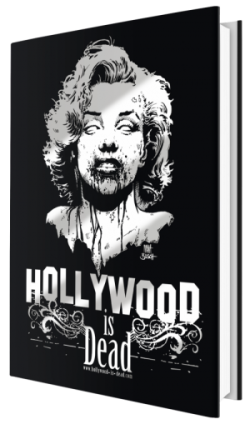 Print Size: 19″ x 13″ on heavyweight print stock with a deluxe aqueous coating. All prints are rolled in plastic and boxed to assure save delivery.